ALLBESMART is partner of the FIRERISK project. 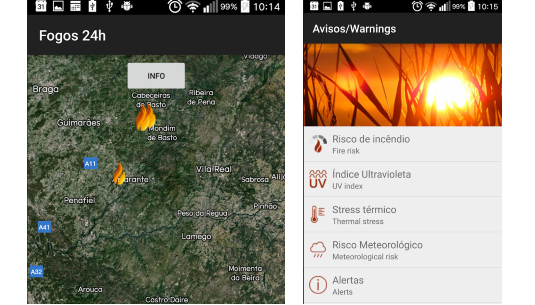 FIRERISK has developed a new App that gathers open data from environmental and civil protection authorities in a single platform. Users can get tailored alerts in case there is wildfire activity nearby a property. The main challenge was to gather open data provided by heterogeneous sources in a single mobile App. The App uses data from NASA satellites and shows wildfire activity across Europe.